What’s Poppin’ Tonight! 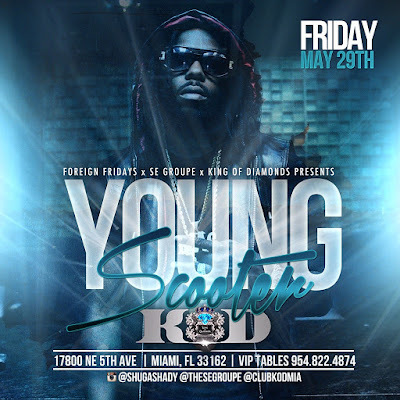 #ForeignFridays presents Young Scooter Juggathon Mixtape Release Party Live at King Of Diamonds ~ Phresh Hott New! Tonight! Foreign Fridays, S/E Group and King Of Diamonds presents "YOUNG SCOOTER" Juggathon Mixtape Release Party at King Of Diamonds.